Flatten out the learning curve to Google's television platform by learning all the essential tips and tricks. 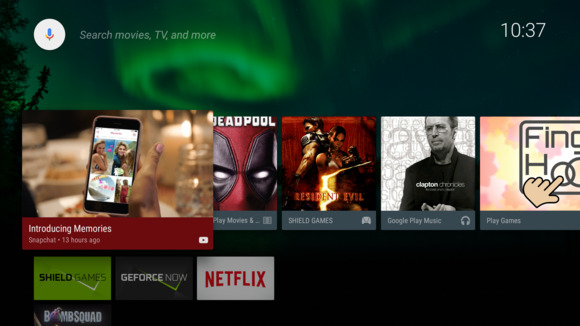 Android TV is the lesser known of Google’s living room ambitions. Chromecast gets all the attention since it’s easy to set up, has millions of users, and comes at an impulse buy price of $35. But Android TV is worth getting to know a little better. Despite the death of the Nexus Player, the platform is slowly making some strides as it serves as the interface for many new televisions. And for gamers or those who’s cut the cord, the best hardware available is the Nvidia Shield Android TV. The console-style gaming and smart remote bring the best of Google’s power and impressive hardware into a package that can easily rule your living room. Google did a good job at making the Android TV interface straightforward, but there are some knobs and dials worth turning in order to eek out the best experience. After just a little time, you’ll wonder how you ever lived with just a dumb cable box. Android TV is all about creating a personalized television experience by learning more about you. 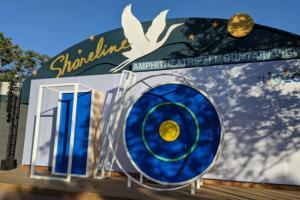 This manifests in a carousel that puts personalized recommendations for videos, music, TV shows, and movies up front. The more you use YouTube, Google Play, and other apps, you should see better suggestions over time. As you scroll through these choices, notice that the background matches up with the current selection, which makes the interface feel more alive instead of being just a boring grid. Unfortunately there's no way to dismiss or offer feedback on what Google tosses up, though the more you use the company's services, the better it should get at picking things you like. 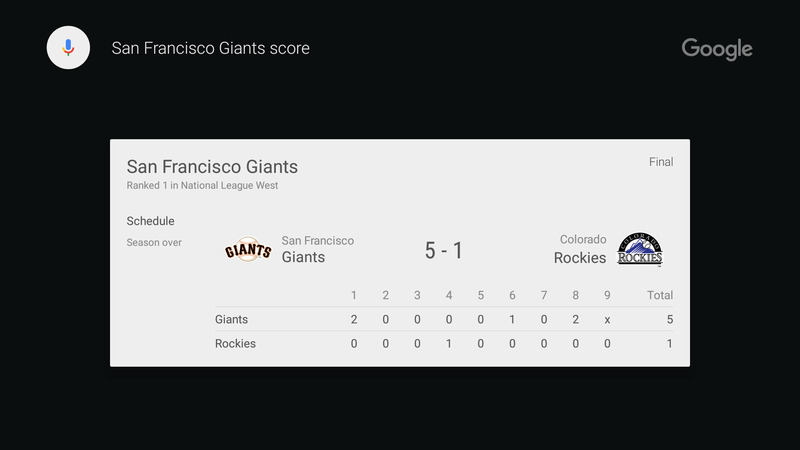 The voice search feature on Android TV isn’t just for tracking down a new movie or YouTube video to watch (though it does those, and many other searches, very well). It also works much the same as voice commands on an Android phone or tablet, giving you quick answers to general queries. To launch a voice search, press the the dedicated microphone button, which is found on the Nexus Player and Nvidia Shield remote, or the smartphone app (more on that later). Then do the same voice query you would on your phone, like “San Francisco Giants score” or “the capital of Jakarta” or "Oscar movie winners 2014." You’ll get a dedicated card with the answer, along with a deep search into related apps that may offer content worth watching. This feature is one of those fun capabiliites to play around with when you first get an Android TV, and may impress friends and family who aren't up to speed with technology. Another nice perk of Android TV is that it also doubles as a Chromecast. The core technology behind the platform, Google Cast, is built into your Android TV set-top box or television. In your desktop version of Chrome you'll need to have the Google Cast extension (although Google is working to build this natively into Chrome). Then you just cast a tab as you normally would and it will appear on the TV screen. 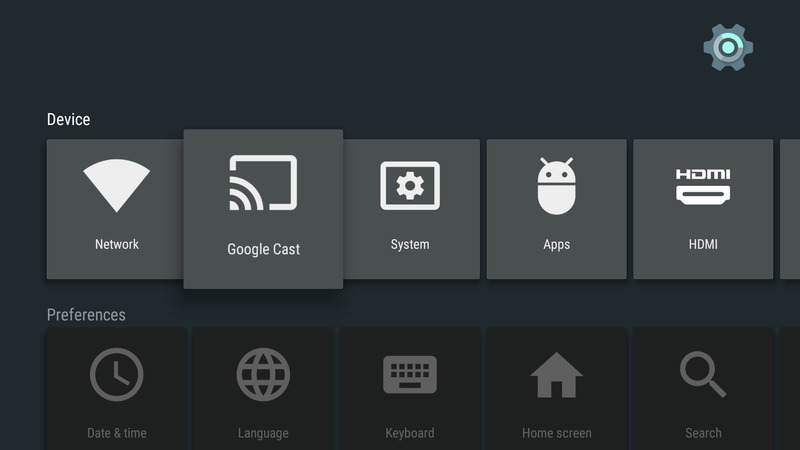 So you don’t have to pick between Chromecast or Android TV, as you get the former as one of the perks. Your phone is probably in your hand anyway, you may as well use it as a remote. The Android TV remote control app will handle all the core functions as the physical remote, though there are a few tricks to learn. The app offers two interface options: a d-pad or touch pad. The former puts a standard, four-way control on your screen while the latter lets you swipe on the phone to control the interface. Both have a handy Google search button to fire up a voice command. There’s also an Android Wear app, which turns your watch face into a directional pad. It’s helpful for a quick flip between screens, but it’s not something I’d rely on for most use cases. No, with Daydream we're not talking about Google’s upcoming virtual reality platform. 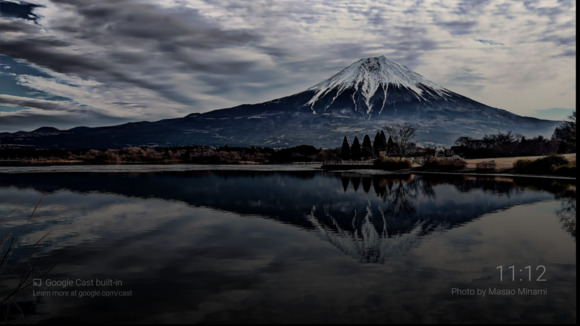 Instead, the Daydream feature on Android TV puts a pleasant screensaver on your televison after a predetermined length of inactivity. By default it's set for five minutes of activity, but you can bump that up longer or even launch the feature right away if you want to glance at some elegant photography. From this location, found in Settings > Display, you can also set up when the Android TV goes to sleep, which out of the box is scheduled for one hour and 30 minute of inactivity. You can also set the TV to stay awake if you're streaming music so your rock session doesn't die off. Being a cord cutter can be tough. So many networks like ESPN and HGTV put their app behind a paywall, only granting access to those with a valid cable subscription. So unless you have some type of workaround in mind (ahem), be prepared to go through the authentication process every time you launch one of your favorite network apps. The major downside is that your cable provider may not be supported, as happened to me since the HGTV app doesn’t play yet with Comcast. It’s a reminder why people cut the cord in the first place, as they get sick of the nonsense. For apps that do work with your provider, however, you’ll see a lot of choices for on-demand titles. It will make going back to a standard grid of channel listings feel antiquated. Google Play has a growing catalogue of games that are ready for some button mashing with an actual controller. 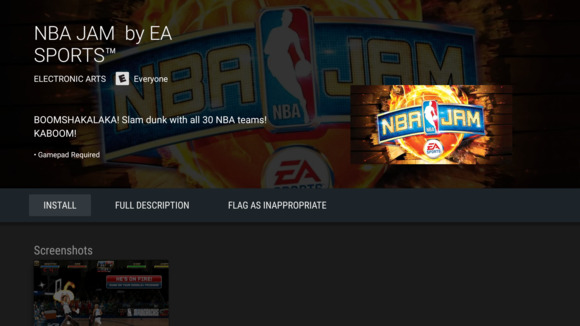 So pay attention to the “Gamepad required” notice on the game’s description when you’re browsing the Play Store. There ought to be a prominent icon for this, but as of now you’ll just have to look on each app’s description page. 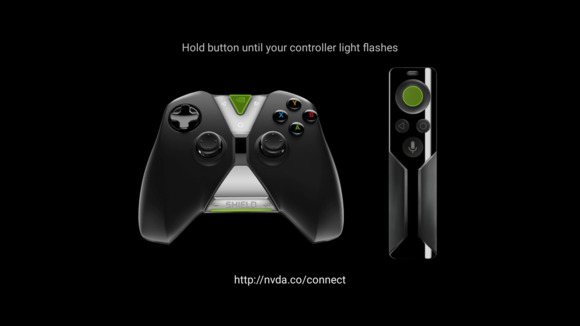 If you have an Nvidia Shield Android TV, there’s a dedicated gaming hub that features many of these titles, so you may want to start there if you want to put that controller to use. Some streaming apps offer a background listening feature, so you can still catch the news, sports, or other broadcast while doing something else. You'll know you have one if you press the home button and the app heads back to the main carousel with an audio icon. This works great with CBSN, for example, an online streaming network from CBS News. This way you can browse through the Play Store or for another video to watch while finishing up a broadcast. OK, so updating your apps isn’t the most exciting feature of your Android TV. Yet it’s essential, because you don’t want to be without those new features or bug fixes. Fortunately, there’s an easy “set it and forget it” option found “set it and forget it” method for making this happen. 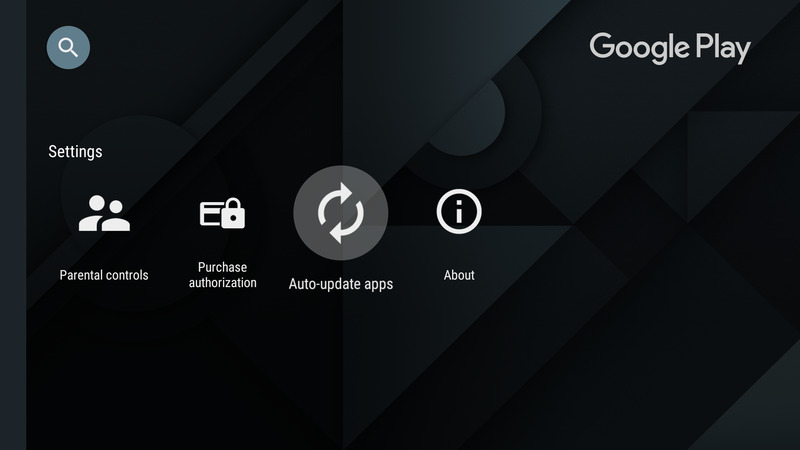 In the Google Play Store, head to the slide-out menu and and ensure that that the auto-update apps screen is selected. 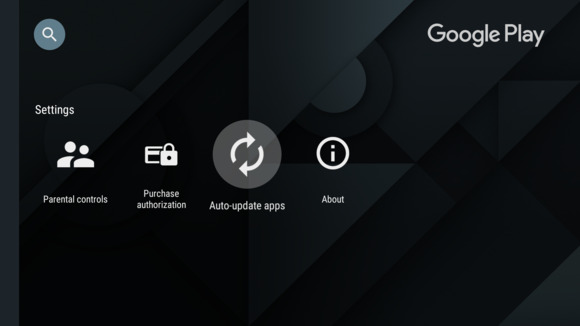 If you do have apps that require an update, you can update when from Google Play Store > My Apps. 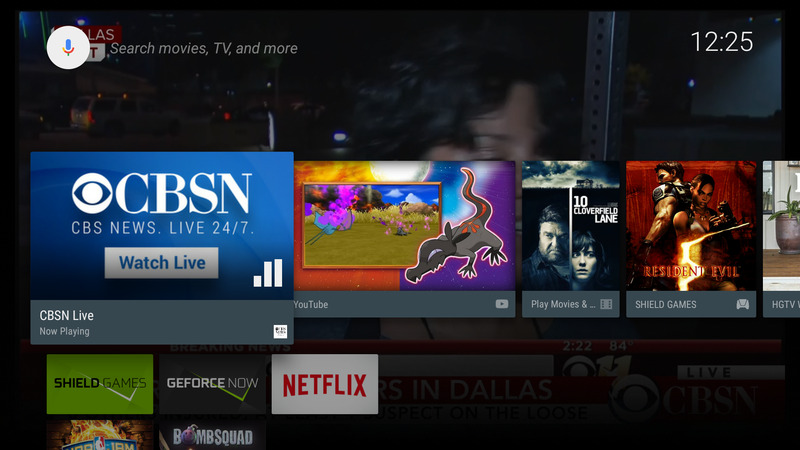 Much of the promise of Android TV surrounds how it can function as a viable gaming platform. It's been more promise than delivery so far, but there are still some good titles to be found if you're willing to do some exploration. Head to Settings > Remote & accessories > Add accessory to bring aboard a new controller if you want to try games that require or function better with better hardware. Repeat this procedure if you have several controllers to join in, as multi-player games get a lot more fun with, well, multiple players.